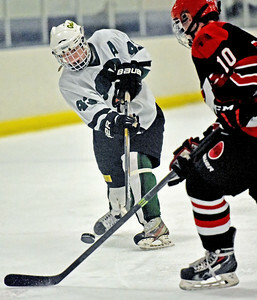 Jon Langham - For Shaw Media Crystal Lake South's Leo Johnson (47) takes a shot on goal against Marist's Ryan Gapski (10) in the first period of the AHAI Blackhawk Cup playoffs Sunday, March 13, 2016 at the Edge Ice Arena in Bensenville. 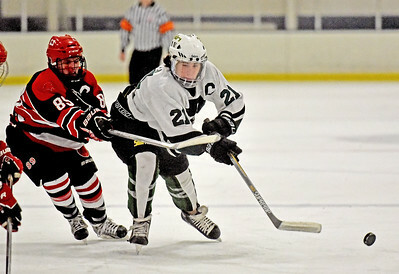 Jon Langham - For Shaw Media Crystal Lake South's Anthony Saputa (21)maneuvers the puck against Marist's Mark Karczewski (9) in the first period of the AHAI Blackhawk Cup playoffs Sunday, March 13, 2016 at the Edge Ice Arena in Bensenville. 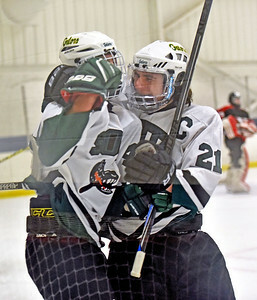 Jon Langham - For Shaw Media Crystal Lake South's Anthony Saputa (21) congratulates teammate Evan Jewson (40) for his goal in the second period of the AHAI Blackhawk Cup playoffs Sunday, March 13, 2016 at the Edge Ice Arena in Bensenville. 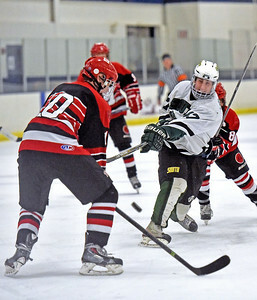 Jon Langham - For Shaw Media Crystal Lake South's Eric Helm (43) takes a shot against Marist's Ryan Gapski (10) in the third period of the AHAI Blackhawk Cup playoffs Sunday, March 13, 2016 at the Edge Ice Arena in Bensenville. 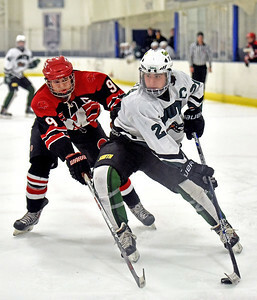 Jon Langham - For Shaw Media Crystal Lake South's Anthony Saputa (21) takes a shot on goal as Marist's Donald Mcgrath (89) defends in the third period of the AHAI Blackhawk Cup playoffs Sunday, March 13, 2016 at the Edge Ice Arena in Bensenville. 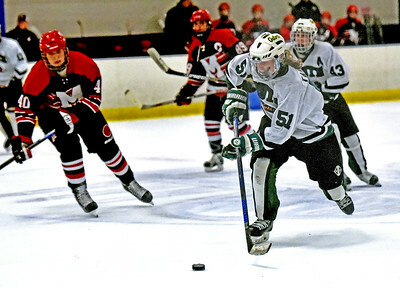 Jon Langham - For Shaw Media Crystal Lake South's Michael Tanzillo (51) breaks away from the pack against Marist in the second period of the AHAI Blackhawk Cup playoffs Sunday, March 13, 2016 at the Edge Ice Arena in Bensenville. 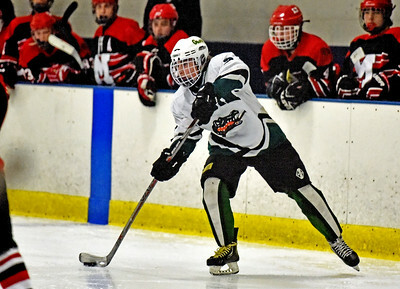 Jon Langham - For Shaw Media Crystal Lake South's Peter Mateo (2) centers the puck against Marist in the third period of the AHAI Blackhawk Cup playoffs Sunday, March 13, 2016 at the Edge Ice Arena in Bensenville. Jon Langham - For Shaw Media Crystal Lake South's Michael Helm (9) fights for the puck against Marist's Mark Karczewski (9) in the third period of the AHAI Blackhawk Cup playoffs Sunday, March 13, 2016 at the Edge Ice Arena in Bensenville. Crystal Lake South's Anthony Saputa (21) takes a shot on goal as Marist's Donald Mcgrath (89) defends in the third period of the AHAI Blackhawk Cup playoffs Sunday, March 13, 2016 at the Edge Ice Arena in Bensenville.